I was having a pleasant day doing remote tutoring of a friend who is a new memoQ user and talking about various file type issues and approaches to quotation. She mentioned a mutual acquaintance, Helen, who became so disgusted with the incompetent attempts of agencies and some direct clients to convert PDF documents and foist them off on her as "Word documents ready to translate", which the results are, as anyone familiar with such things understands, generally not. Helen has written into her general terms and conditions of business a special clause stipulating a surcharge for both PDFs and any OCR documents. In my opinion, the surcharge for bad OCR should probably be double that for PDF, which I could use as the basis to do a proper OCR conversion. 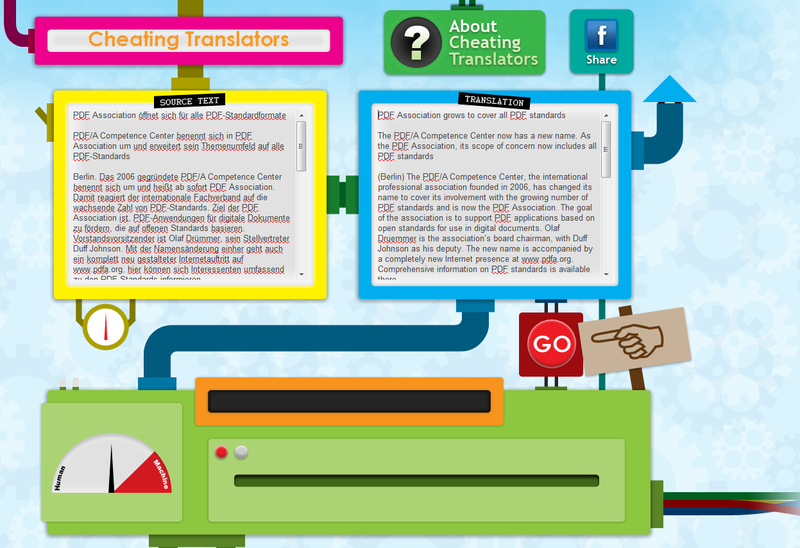 Experienced translators are well aware of the horrors of bad OCR, including documents that look like the original but which undergo disconcerting font changes with the use of the classic Trados macros to translate, or where text blocks disappear when embedded in wrong-sized boxes, section breaks disrupt text, words display in CAT tools with tags embedded in the middle of words, thus screwing up terminology lookups and TM matches and more. I hope there is a special place in Hell for those who think that usual rates should apply to such time-wasting messes. There are many remedies for these problems, as solutions such as Dave Turner's CodeZapper macros or the memoQ import option to ignore irrelevant tags for Word documents, but there really is no good substitute for doing the conversion right the first time. This is a skill I have taught to colleagues and clients on a number of occasions, because it saves everyone time and money. After I ended my chat and tutorial with C, I went to work on a new project due tomorrow. I had been putting it off while working on some tutorials for next week, but I still had time for dealing with it at a relaxed pace. Then I opened the document and realized that while I was distracted earlier this week, the project manager had sent me the horror of all horrible OCR jobs, an automatic conversion that violates every principle of good OCR practice. And it's Sunday. I'm screwed. No PDF to re-do the OCR my way. Then I realized there are two possible solutions to address this problem which do not involve medium-range missiles. Save the bad OCR DOC file as plain text with the desired encoding. Open the plain text document in Microsoft Word or another full-featured text editor. Check the sequence of the text flow to be sure that it is correct and complete. Correct any "broken" sentences caused by line breaks in the wrong place in the OCR document. A bit of clever search and replace can usually be used to protect desired paragraph breaks before converting the unwanted ones into spaces to restore the messed-up sentences. Do any other formatting you want for page numbering, bold text, subtitle styles or whatever. 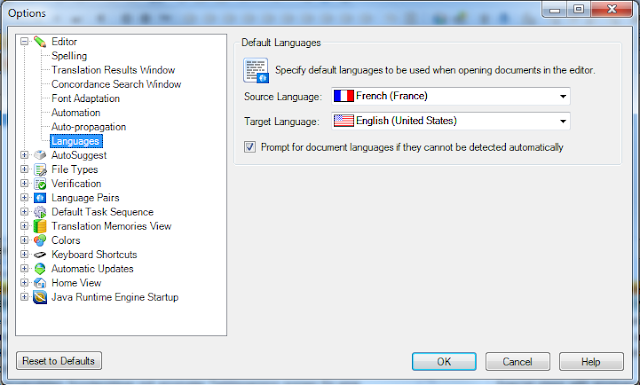 The resulting file can be saved as RTF, DOC, DOCX or whatever you need and then be used without trouble in your translation environment tool of choice. This will save a lot of time compared to what you will waste dealing with the poorly converted OCR document. But, as part of the customer service philosophy that encourages partners to work together in the most efficient way possible and respect the time and efforts of the other party, appropriate surcharges for the time do apply. Cleaning up my 18 pages of garbage from the PM took a bit over half an hour altogether, including some corrections of OCR errors, and if I want to get a clean source document after my translation, I simply correct any source errors I find in memoQ as I work and export a fixed source document later. For personal reasons, I was unable to attend the recent conference on machine translation held in Ede in the Netherlands as I had planned. A colleague, Diane McCartney, was there and has gracefully consented to share her impressions and extensive notes from the day, which will appear here in several blog posts, of which this is the second part. It was a busy day. In my opinion, Dr. O’Brien’s presentation was the highlight of the day. I still have a hard time believing that someone who doesn’t believe in MT as it is being shoved down our throats had been invited to the conference. But boy, I’m sure everyone in the room was glad they had chosen this particular workshop. It was so encouraging to see that research is being done by people who are interested in the research and not in selling vaporware. She started with a short introduction of MT and its history. MT, we learned, has only really taken off in the last ten years when rule-based systems and statistic-based systems were married to create a hybrid paradigm. Rule-based systems consist of coding dictionaries, creating rules and ensuring the rules do what they’re supposed to do. TMs, so-called data-driven corpora, are used to create a statistic-based data-driven engine. The quality of the MT’s “training,” which is done by editing translated segments, is crucial to the quality of the output. Symantec, which uses Systran, funded the MT research at Dublin City University, but as Dr. O’Brien says herself, she was not there to blow the Symantec or Systran horn but to give us a picture of MT that is based on a real scenario in a real, live environment. Symantec uses Systran because it enables them to quickly translate virus alerts. An engineer in Latvia, for example, doesn’t need a highly polished translation but a set of understandable instructions he needs to carry out. Here, the accuracy of the translation outweighs its style. This is a perfect example of “fit for purpose,” which is taught in translation theory and implies that a translation has to be accurate rather than polished. Symantec uses MT successfully because they know what they want, have taken the pre-processing steps, have involved the engineers and translators in the process and have implemented guidelines for writing for machine translation. Dr. O’Brien ran her post-editing test in French and Spanish and used the LISA QA metric to assess it. The test was run with a good terminology database and a good MT. The results for French and Spanish were very similar, but would have varied if other, not so well-prepared, MT engines had been used. She pointed out that quality may be subjective but that we would probably all agree that “good quality” generally means a translation that accurately reflects the meaning of the source text and that one could rely on if one’s life were in danger. She also pointed out that Asian languages will produce different errors than Western European languages because the markers are different. Quality being the hot topic of the day, she overtly disagreed with Renato’s statement and explained that she would talk a lot about quality. According to the research, the highest quality is achieved when there is a fit between the source text and the contents of the MT. Domain-driven engines are more successful than engines based on generic data. The assumption used to be the more data, the higher the quality, but new research has shown that the quality rather than the quantity of the data is crucial and that pre-processing steps are essential! If she didn’t have our full attention, she sure had it now! So what does the post-editing challenge consist of? It consists of, well, trained bilingual translators fixing errors in a combined MT environment. MT developers are talking about monolingual post-editing, but no one really thinks that is a good idea because there is no way of checking the accuracy of a translation if the person reviewing the text doesn’t speak the source language. Throughout her presentation, Dr. O’Brien points out time and time again that tight control is the key in every area that touches on MT and that quality issues can and should be tackled at the source. We also learned that there are in fact several levels of post-editing: Fast post-editing, which is also referred to as gist post-editing, rapid post-editing and light-post editing, consists of essential corrections only and therefore has a quick turnaround time, and Conventional post-editing, which is also referred to as full post-editing, consists of making more corrections, which result in higher quality but a slower turnaround time. Volume - How many words/pages? Turnaround time - How much time has been planned for post-editing? Quality - How polished does the translation have to be? User requirements - Who are the readers and why will they be reading it? Text function - What is the purpose of the text? The distinction between light and full post-editing is in fact useful. The key to determining the level of post-editing needed depends on the effort involved, meaning the quality of the initial MT and the level of output quality expected. However, the customer may not know what they want themselves and may therefore be disappointed by what they get. It should, however, be clear whether the customer wants “good enough” quality, or quality that is similar or equal to human translation. The nature of the post-editing task will vary depending on whether the quality of the output is good. If the quality is good, post-editing will consist mainly of minor changes, such as capitalization, numbers, gender, style and maybe a few sentences that need retranslating. If the quality is bad, the situation is reversed and post-editing will consist mainly of major changes, meaning more sentences that need retranslating and a few minor changes such as capitalization, numbers, gender etc. There are many ways of measuring the quality of MT, some of which are more useful for post-editing and localization processes than others. The quality metric example in Dr. O’Brien’s presentation is that used by Symantec. 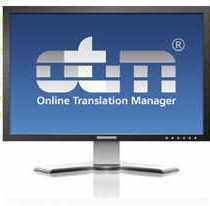 There are, however other metrics such as General Text Matcher (GTM) and Translation Edit Rate (TER). The post-task edit distance is measured by comparing raw MT output to the post-edited segment and gives a score based on the number of insertions, deletions, shifts, etc. Whichever metric is used, it is important to remember that quality issues can be tackled at the content creation and pre-processing stages. In order to get around the cost and subjectivity of the evaluation of translation output, IBM developed Bleu scores. This metric consists of taking a raw MT sentence and comparing it to a human translation, which is the Gold metric. This metric, however, only determines the similarity between the two, not the quality. This score only works in conjunction with a reference translation. MT providers all have Bleu scores and compare them with each other, but they are only useful for system development and comparison – they are not meaningful for the post-editing effort. An alternative to Bleu scores are confidence scores, which are generated by MT by using its own knowledge about its own probabilities and its confidence of producing a good quality translation. It terms of productivity, research has shown that post-editing is faster than translating and that the throughput rates vary between 3,000 and 9,000 words a day. However, comparisons are often made on first-pass translation versus post-editing, i.e. there is no revision. There will always be individual variations in speed that will differ across systems and languages. Experiments of post-editing using keyboard logging software show that post-editing involves less typing than translation, which probably matters more in terms of RSI than speed because translators are generally fast typers. The cognitive effort required by translation and editing is rarely considered in research. However, translators report being more tired after post-editing and find post-editing more tedious, probably because they have to correct something they wouldn’t have written in the first place. Dr. O’Brien didn’t spend much time on pricing, but she did make it clear that a whole new pricing model will have to be developed for MT post-editing. In her opinion, structured feedback to the system owner should be paid for and translators should be involved in the development of the system, terminology management, dictionary coding etc. New generations of translators will benefit the most from post-editing because they will have grown up with technology and social networks and will be more flexible in terms of quality. Research suggests that students can learn about translation through post-editing. For personal reasons, I was unable to attend the recent conference on machine translation held in Ede in the Netherlands as I had planned. A colleague, Diane McCartney, was there and has gracefully consented to share her impressions and extensive notes from the day, which will appear here in several blog posts, of which this is the first. It was a busy day. I was very skeptical about the conference that the ATA (Association of Translation Agencies in the Netherlands) held in Ede on machine translation. I usually avoid conferences like this because the high level of BS and marketing make me sick to my stomach. But I don’t believe in opinions based on gut feeling, outdated knowledge and obsolete technology, so off I went. The day was not at all what I expected. Renato Beninatto’s keynote speech was not half as provocative as I thought it would be, but that may be because there was no one there to talk back. The room was filled with 135 translators and a deafening silence that was only interrupted by a gasp as Renato calmly stated that “quality doesn’t matter”. Talk about setting the tone: nobody talked about anything else for the rest of the day! And no one seems to have heard what he added to that statement almost immediately after he made it, namely “…until it is missing”. Yes, the agent provocateur had struck again, although I found him to be much tamer than at last year’s Tradulínguas conference where I heard him provoke for the first time. Renato is oh so happy to plant controversial statements in the middle of the room and wait for his audience to react, but the sober and ever-so-practical Calvinist Dutch were unshaken. Maybe that’s because the audience, most of which was between 40 and 60 years old, had heard it all, seen it all, done it all before and before and before. Am I repeating myself? Ah, yes, well, MT we were informed at the end of the day by the Dutch visionary Jaap van der Meer was to do away not only with the repetitive tasks translators found themselves confronted with, but with the stupid tasks they were forced to do too. 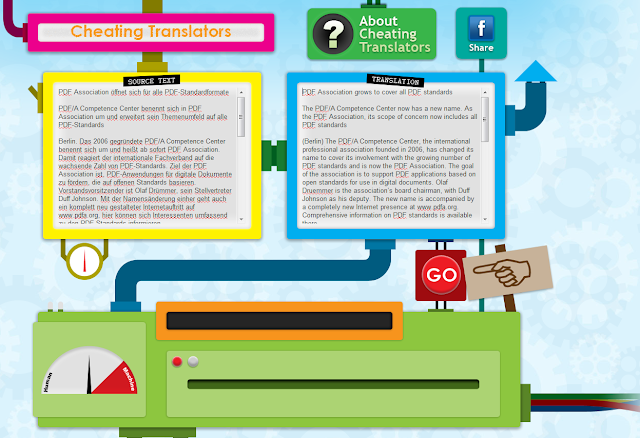 Human translation is stupid, machine translation is smart, long live machine translation. Yes, indeed, the future has been here for 50 years only we’re all too stupid to do something with it. We learned that “projects” will disappear and “drops” will be replaced with “drips.” Fully automated, integrated project management and translation environments stored on the SaaS provider’s server will reduce project management to a monitoring activity enabling project managers to focus on exceptions. Yes, we have been working like this for many years – although I don’t see “projects” as such disappearing because one still needs a project number for all sorts of tracking and tracing purposes. SaaS, however, still has to learn how to walk before it can run – try telling that to a software developer – in order for anyone to claim that this part of the future is here. In terms of translation resources, crowd sourcing is the answer to a quick turnaround time and the best translation of software because the translation is done by the users. I’m sure this works well in environments such as Facebook where adherence to terminology and style are of no import, but what do you do with IBM’s answer to a European request for proposal? Or a bank’s investment strategy? These very real concerns were dismissed with a wave of the hand and a “Sometimes it’s better to apologize than to ask for permission. If you're worried about confidentially, talk to your lawyer.” The future sure looks bright for Justice. So we produce translations of a lesser quality. Who gives a toss if that’s what the customer wants? And what’s quality anyway? A subjective notion that depends on your customer’s definition of it. You may think a translation is too literal, but your customer may think you’re the best translator on the planet. You may love the wit in your translation only to find that the customer is stumped because they have no clue what you’re talking about. Focusing on revenue is not as simple because it means focusing on volume and volume is usually paired with quantity breaks (thank you Microsoft and IBM). But since we do have colleagues who are willing to work for a pittance, it looks like rates are not going to stop falling anytime soon. It will be interesting to see the new pricing models agencies impose on us because they, and not the end customer, will be driving the MT bandwagon until more large corporations start implementing MT themselves. Somehow I have the feeling that it's Trados with another name …. We talk about the future, Renato explains, because the present is boring or we are totally lost. So in other words, we would be neither bored nor lost if we hadn’t listened to the BS that has been shoved down our throats for the last 20 years. So the same guys who helped us up that creek and made sure we lost the paddle are the same ones who are going to bail us out? Sounds like another rollercoaster ride to hell to me. And what did Renato mean when he said that we had to “make sure we didn’t make the same mistake with Trados by not stopping Jochen Hummel from selling it to companies?” It’s impossible to keep anything secret these days, especially from those driving the development of a new technology! Click on Members on the TAUS Web site and tell me again that we need to keep MT to ourselves. In Jaap van de Meer’s Translation Business Innovation workshop, we in fact learn that TAUS was founded by companies experiencing with their own MTs. Understanding language is a matter of collecting loads of data and putting it in the cloud. Our culture is one of reciprocal collaboration: I win, you win. MT is a utility that is here to stay: It is a basic human right, a utility, like roads, utilities etc. I am totally lost for words …. Translation memories are a thing of the past, we are told, totally outdated technology in dire need of replacement. We are moving into the era of the semantic web in which translation memories will no longer be assets and therefore no longer need to be protected like crown jewels. Today’s MT produces much better results than the hopelessly outdated TM technology, which only leverages the segments you enter into it. New tools will soon be available that will have massive leveraging capabilities, and a positive by-product will be that we will be able to preserve endangered and less spoken languages, like Welsh. These languages will not disappear like others. This is all very exciting. We take on the pre- and post-editing challenge. This was the most interesting presentation of the day, but I didn’t know that when I rolled up my sleeves, cracked my knuckles and pumped myself up for the big battle. The presentation lasted 90 minutes, and all I did was nod in agreement the whole time. Dr. Sharon O’Brien from the School of Applied Language and Intercultural Studies at Dublin City University had saved the day for everyone in the room. We all could have listened to her for hours: no provocative statements, no condescending and humiliating remarks, just facts, facts and more facts. Results based on sound research that contradict everything everyone wants you to believe – especially the visionaries. Time and time again she points out that not many companies have been successful at using MT. Those that are successful have their writers and translators on board and have involved their translators in the process from day one. Enabling the main players to take ownership of the process and carve out new roles for themselves is crucial to the success of MT. She also emphasizes that tight control is the key in every area that touches on MT and that quality issues have to be tackled at the source. This was really the best breath of fresh air I’d had in a long time! The 250,000 translators in the world aren’t enough to fill the translation demand, which is why we need MT. True if you believe that everything should be translated, including my English tweets. God forbid! It’s time for the industry to define standards in the same way the banking industry did to facilitate electronic banking. What are TMX, SRX, XLIFF and TBX? Joost Zetsche wrote a report on file format standards under the banner of TAUS that provides a clear overview of their status. Looks like Jaap doesn’t even know what his company commissions. In my opinion, it would be fair to say that it is time to review, consolidate and improve the standards not define them. The comparison with the banking industry is also interesting when you think that it took some 15 years to develop a European standard for EFT and that MAESTRO, the development of which started in the 1980s, has been so successfully implemented across Europe that my Dutch bankcard still doesn’t work in many German stores. Translators should fill the TAUS database and not be afraid. Why would anyone what to fill a database for a company FOR FREE so the company can use the database to SELL translations of dubious quality? If there is one thing Jaap did not address the whole day it is how TAUS intends to prepare the strings for entry in the database. Pre-editing did not fall once. According to Jaap, machine translation will relieve translators of their stupid and repetitive tasks. I admit there is nothing more stupid than translating articles about the development of new sources of energy or breakthroughs in diabetes research. It’s pretty clear that Jaap thinks that translators do nothing but translate software strings and poorly written help texts. Well wake up Jaap – software is not the only market segment feeding translators! And believe it or not, there are translators who have never translated software and have no intention of ever doing so. I went to this conference ready for a fight and I left the conference understanding what should have been clear from the outset: old business practices were being rebranded and given cool names such as crowd sourcing (pool of translators and editors), MT post-editing (proofreading and editing), and service (quality assurance). In that sense, the future really is here. But surely you didn’t need a visionary to tell you that? (Oranienburg) Industry experts were surprised today as leading companies announced a bold new cooperative language services initiative. Soylent SemantiX GmbH combines the logistics, organizational service excellence of LionWorX Corporation, Poorina, PrAdZ, Googel and one of Germany's oldest human processing centers to harness the power that resides in the machine and the wannabe human translator. Social reform advocates around the world welcomed the announcement for Soylent's plans to rehabilitate and reintegrate neglected resource potentials worldwide. Concurrent with the announcement of the company's founding and bold expansion plans to locations which include Calcutta (India), an undisclosed location in Myanmar and Harare (Zimbabwe), the new company's CEO, Kurt Kuhgel, revealed the signing of a pilot contract with the Texas state prison system worth USD 30 million. There it is hoped that the large numbers of incarcerated bilingual persons can be repurposed to lower translation and interpreting costs for the state government and local industry. Previous studies of this approach in the People's Republic of China indicated powerful synergies to be unleashed for the benefit of deserving parties. Concerns that the new approach might undermine the status of current independent language service providers were allayed by revelations of the company's green strategy for translator productivity. At the same time, the implemented flow of work and resources will lower nutritional costs in the Texan program and its scale-ups at other locations. Further efficiencies will be achieved by fully leveraging the potential of the MT/post-editing workflows. The first workshops have already been scheduled in Waikiki, Hawaii to help processing units master the skills needed to surf the machine translation tsunami. Companies wanting to be part of the future and optimize their language service costs today can contact the SoylentCare Center for more information and a free quotation. 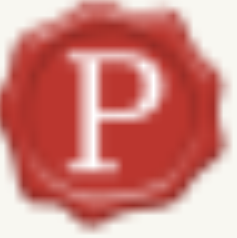 Have you considered applying for the Certified PRO Network? From the information available in your profile, I see that you offer translation services in German to English, a language pair that is currently under-represented in the ProZ.com Certified PRO Network. In the first part of this year, 1312 jobs in German to English were posted at ProZ.com, but there were only 104 members in the Certified PRO Network to respond to them. As you can see, then, this might represent an excellent growth opportunity for you. Looking forward to welcoming you to the network! The preceding letter was copied exactly from the mail forwarded to me by a former ProZ moderator. The account "test123" is a testing profile set up years ago to explore certain new features of the site. He and I are both amused and puzzled by the invitation for a nonentity to join the fabled red pee network. If it is in fact true that there are only 104 "approved" red bubbles (as he calls them) for a language combination as common as German to English, it makes you wonder what's up. I know there has been a huge exodus of talent from the platform, especially in European countries where the disregard of data privacy and security concerns runs strongly counter to laws and expectations. In fact, a lot of the best translators I know for German and English are no longer ProZ members, and outsourcers who restrict their listings to the membership or the red bubbled ones are simply shutting themselves away from a lot of the best talent now. It's also clear that these invitation processes are not personally reviewed by those responsible. I really can't imagine that Ms. Kopnitsky believes that "test123" is even a serious alias. Many of us now use aliases on PrAdZ to keep the search index trash for repetitive content in Tamil and god-knows-how-many-other languages from burying real content we rely on for professional publicity. But "test123"? It takes a special kind of faith to believe in that.